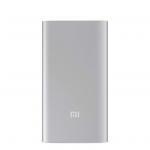 "I can't compare against others as this is only the second power bank I have used. Chosen because of its capacity, which appears to be to spec. 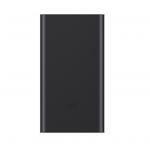 No ral frills or bells and whistles, just a power bank..."
"Does all it says it will, a little heavy but given it's specs that's acceptable"
"Great product, easy to use, plenty of power and tidy design. Saved me by keeping two phones going for nearly 4 days." 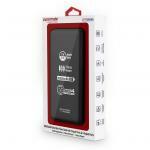 PROMATE 20800mAh Power Bank with flash light & 3x ultra-fast US charging ports. Compatible with all smartphones and tablets. Colour black. 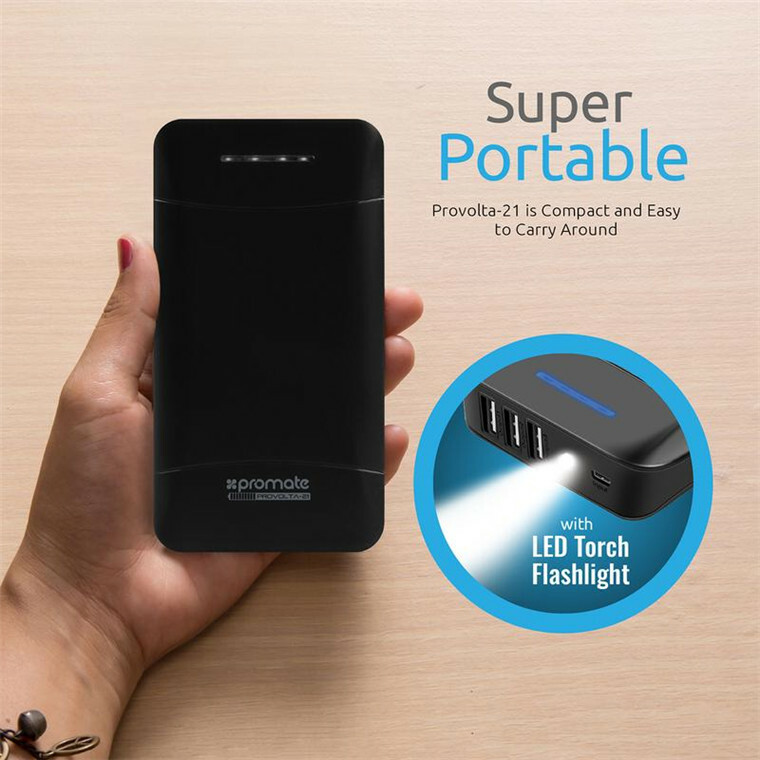 With an impressive 20800mAh available battery capacity, the Promate proVolta-21 ensures that your Smartphone or Tablet is powered for as long as you require. Featuring three ultra-fast USB charging ports so you can charge multiple devices at the same time and the Automatic Voltage Regulation provides an optimum output based on the device connected. 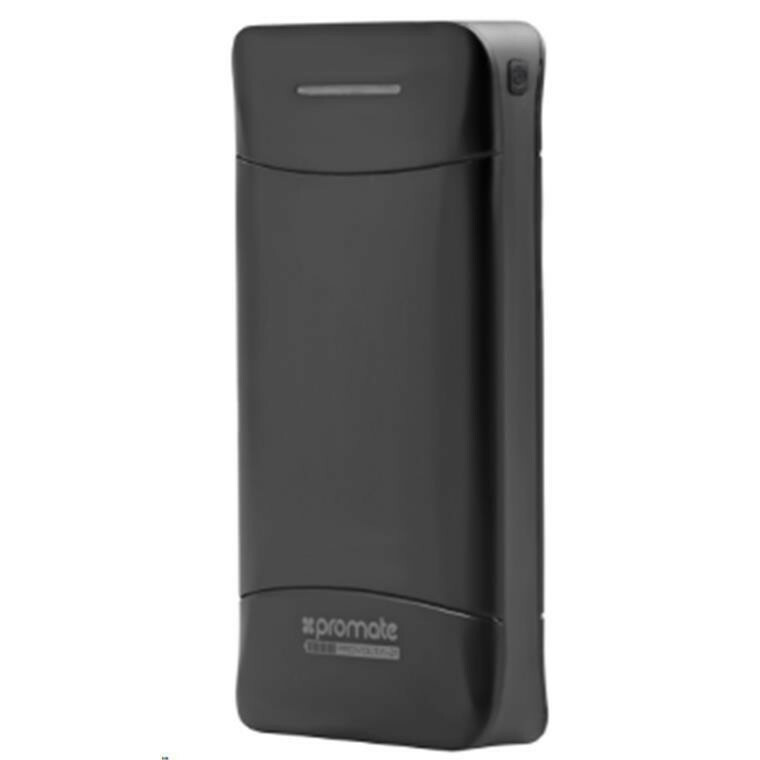 The proVolta-21 is the ideal travelling companion, designed to be portable in size yet offering huge battery capacity. 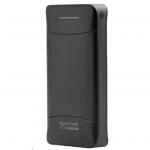 Charge your device on-the-go with this powerful 20800mAh lithium ion power bank: proVolta-21. 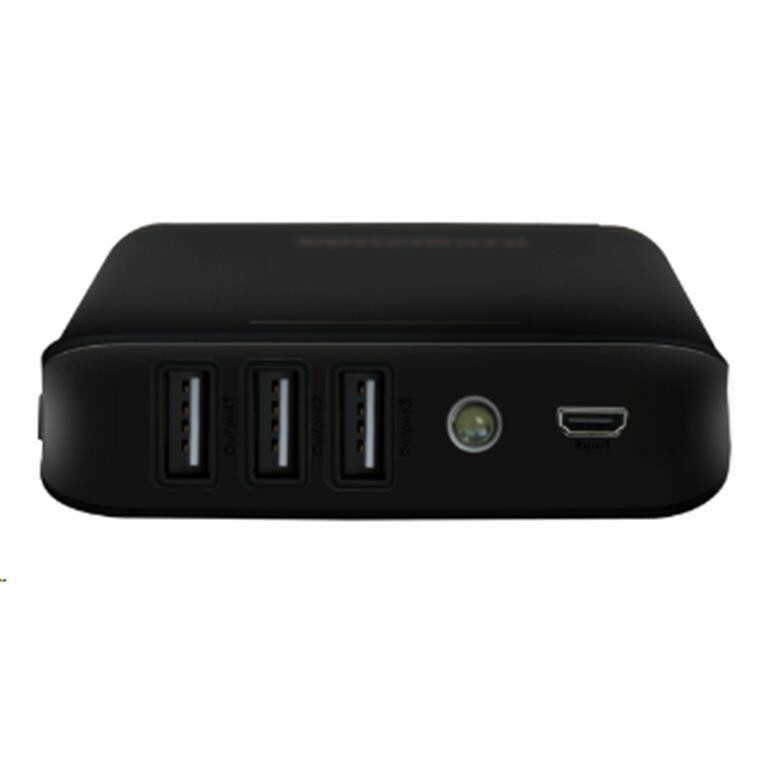 It features 3 ultra-fast USB charging ports to charge any USB chargeable device. proVolta-21 also includes Automatic Voltage Regulation i.e. 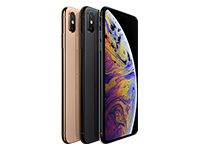 it provides an optimum output based on the device connected. proVolta-21 is compatible with all smartphones & tablets. 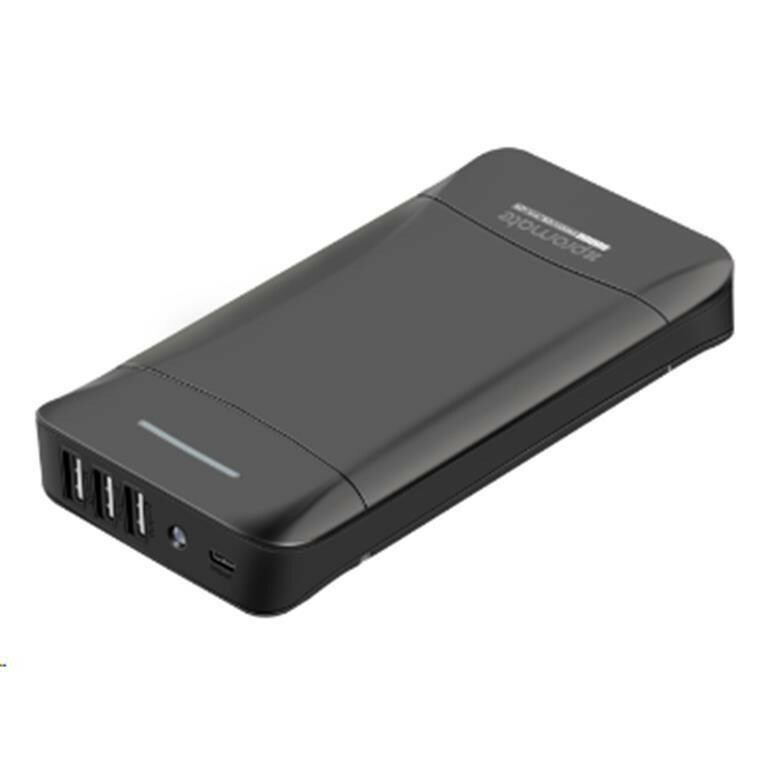 Ultra-High Capacity of 20800mAh yet portable with built-in A+ Lithium-Ion battery cells, can keep your devices running all the time. PowerIQ amp-adjustment technology intelligently identifies your device to deliver its fastest possible charge. Fast charging via 3 USB ports (5V, 3.1A max), allowing for three devices simultaneous charging. 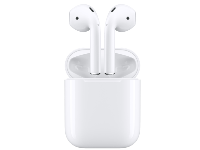 They are compatible with almost all devices with an input of DC 5V. Top circuit protection chip to ensure complete safety. 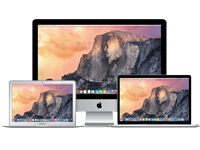 It supports overcharging, over-voltage, over current, short-circuit protection and temperature protection to protect your devices. The four power indicators on the front show the charging status and battery level when you press the On-Off button. There is also a LED flashlight on the power bank. 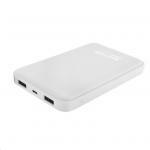 The lighting-up time can reach to 200 hours or more when the power bank is in full power mode. To activate the LED flashlight, double click the On-Off button. 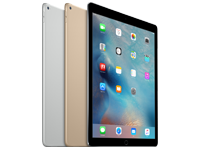 proVolta-21 is compatible with all the key devices that include iPhones, Android smartphones, iPads, tablets, and other USB-powered devices. I can't compare against others as this is only the second power bank I have used. Chosen because of its capacity, which appears to be to spec. No ral frills or bells and whistles, just a power bank with a smallish LED torch.I can't compare against others as this is only the second power bank I have used. Chosen because of its capacity, which appears to be to spec. 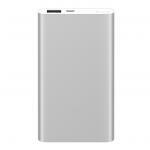 No ral frills or bells and whistles, just a power bank with a smallish LED torch. Great product, easy to use, plenty of power and tidy design. Saved me by keeping two phones going for nearly 4 days.Great product, easy to use, plenty of power and tidy design. Saved me by keeping two phones going for nearly 4 days. Very happy with the product, a powerful power bank . Fast charging .Very happy with the product, a powerful power bank . Arrived almost fully charged, fantastic. Has repowered iPhone 7 quite quickly twice so far, mainly keeping for emergencies. Not too bulky.Arrived almost fully charged, fantastic. Very good product. Took a while to fully charge it. But I didn't have to do it again for at least couple of days while we have 3 device on it.Very good product. Took a while to fully charge it. But I didn't have to do it again for at least couple of days while we have 3 device on it. Probably one of the best power banks I've ever owned. It has a large capacity to charge both my S7 Edge and Tab S fully almost three times! It has a nice polycarbonate material and it feels sturdy to hold. The LED flashlight is also a nice feature. Would definitely recommend for those who need to charge 3 devices at once on the go.Probably one of the best power banks I've ever owned. It has a large capacity to charge both my S7 Edge and Tab S fully almost three times! It has a nice polycarbonate material and it feels sturdy to hold. The LED flashlight is also a nice feature. Would definitely recommend for those who need to charge 3 devices at once on the go. Normally: $66.48 Normally: $76.45 $63.93 ex. $73.52 inc.